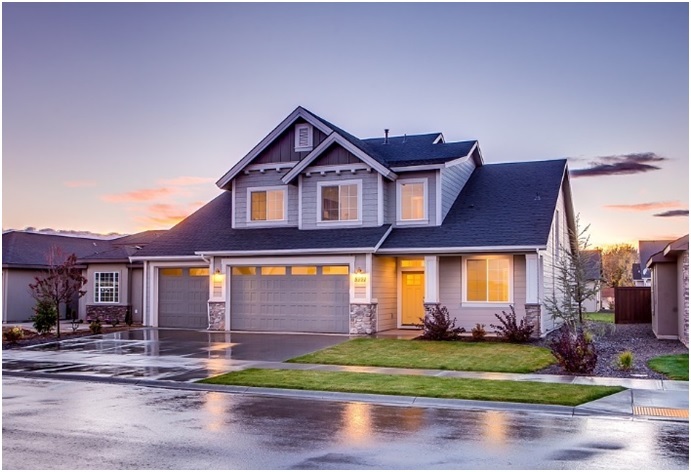 The climate is changing across the world and this implies certain changes in strategy when looking for the right roofing for your new home’s needs. The most basic implement, including for old homeowners looking for roof repair in Los Angeles, is to have light colors that reflect the sunlight better, or using ‘cool color’ products that are essentially dark but ingrained with highly reflective elements. Now the shining sun may influence your choice of roofing, but neither can you lag behind in terms of the trendiest roof in the neighborhood, can you? The most common type in roofing material out there, it is generally of two types: organic paper fibre mat or fibreglass. Its advantages include ease of installation, low costs, low weight and easy application for sloping roofs. The most important consideration for any new homeowner looking to make crucial decisions– such roofs are wind and fire resistant. There are cap sheets, or surface sheets, that cover the asphalt roofing. These sheets are made with ‘cool’ materials compliant with the law in LA regarding the installation of cool roofs because of the increasing temperatures due to global warming. However, asphalt is a petroleum based product so if you are going for an eco-friendly investment, this may not be the option for you. Asphalt roofing is durable and people are usually able to get more than 20 years out of them. Because of their ease-of-use and popularity, you can get them in a variety of colors to be able to match them with the colors on your house. Their distinctive appearance and aesthetics that bring to mind great architectural designs, make tiles one of the popular choices among residents of LA. Tiles are a costly investment, more so if you go for clay ones, as clay tiles are easily 30% more expensive than concrete ones. But the durability of tiles (be they concrete or clay), energy-efficiency (in terms of heat dissipation and reflection), low costs of maintenance, and the added benefits of being strong wind and fire resistant capabilities make them well worth the investment. Tiles also have the added appeal of being available in a variety of desirable shapes and colors. Their curved shapes (there are differences in levels of curvature) create air pockets that add a level of insulation to your roof. Clay tiles are prone to crack under freezing temperatures, making them a better choice for southern climates. The cement ones on the other hand have ribbed edges and additional water locking capabilities sometimes that prevent water infiltration. These tiles are more absorbent (13%) compared to clay ones (6%) which makes them somewhat vulnerable to the growth of mildew and stains. Concrete tiles are also heavier (hence sometimes not recommended for taller buildings), and their paint fades away over time, two disadvantages virtually absent from clay tiles, since the latter have ceramic finishes that last for ages, with no fear of algal growth either! Metal roofs can be installed quickly, reducing labor costs by a large degree. They are versatile in appearance, in that they can be made to look like shingles, or fit unique curvatures, in addition to their traditional seam appearance. Metal roofing is available in a variety of colors and textures too, with the colors being incorporated with increased reflective capabilities. Such roofing is recyclable and hence a sustainable solution in these times. They are available in a wide variety of metal choices (steel and aluminum are the most common) including copper, although it is not advised in places where the weather is changeable. They are also energy efficient and a long-lasting solution for your abode. Even though the metal sheets are rust resistant and long-lasting, they have the disadvantage of requiring their edges to be sealed in order to prevent rusting and water leaking. Such roofs are definitely not a good choice for humid areas, or locations near the coast since the climatic conditions will make them more vulnerable to corrosion. Whichever roofing idea appeals to you, know that existing weather conditions, cost, and available maintenance solutions should be your foremost considerations in coming to a decision.